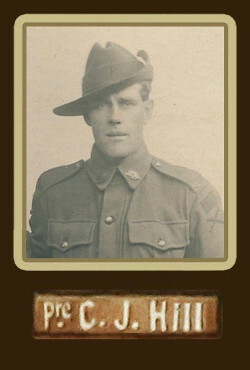 Clarence returned to Australia on the 24th June 1917. Discharged in 1919. Clarence, his parents and siblings, immigrated to Australia in 1890. In 1919 Clarence married Margaret Alice Newbold in Derby, England. In 1936 Clarence lived in Woods Street, Beaconsfield and his occupation was carrier. Died on the 10th June 1958 at Caulfield Convalescent Hospital, Kooyong Road, Caulfield, Victoria. Buried on the 12th June 1958 at Springvale Botanical Cemetery.